Sitting in a unique position on Melbourne’s Southbank, Crown Metropol is a visually arresting hotel. Designed by Bates Smart, the building itself is a marvel of metal and glass, rendered in the shape of a wave and rising dramatically to take its place in the city’s skyline. Inside, the hotel’s design scheme marries simplicity and art in a style that overflows with tongue-in-cheek personality. 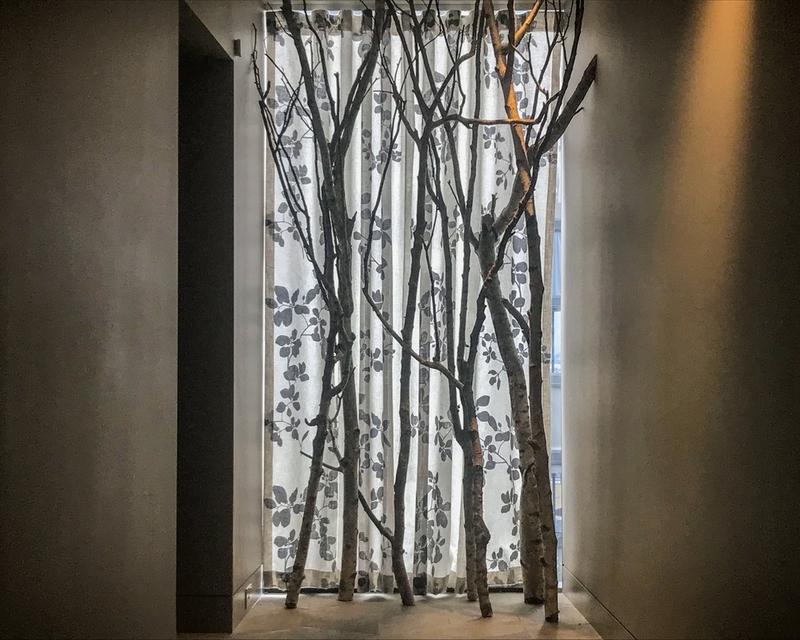 There is art and installations in random corners, quirky fixtures and furniture, and small pops of patterns juxtaposed against stark grey hallways and sparse white guest rooms. This is the kind of property that appeals to savvy travelers who love boutique-feel hotels and getting their finger on the pulse of whatever city they’re visiting. Walk into the lobby of the Crown Metropol, and you’ll immediately get a taste of the character that infuses every part of this property. 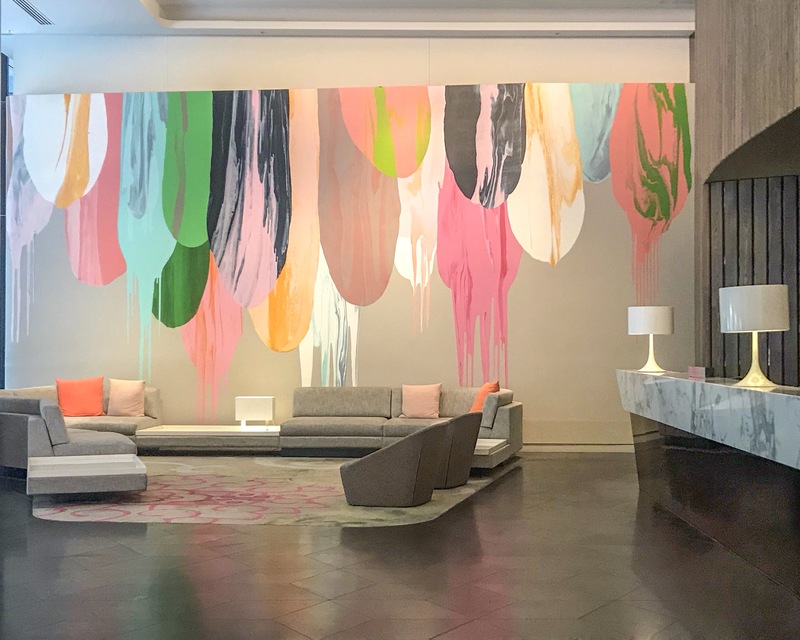 One side of the lobby has an art wall sprayed in bold pink and greens; on the other, a striking ribbon steel staircase leads guests up to the hotel’s restaurant — and connects guests with the rest of the massive Crown complex. 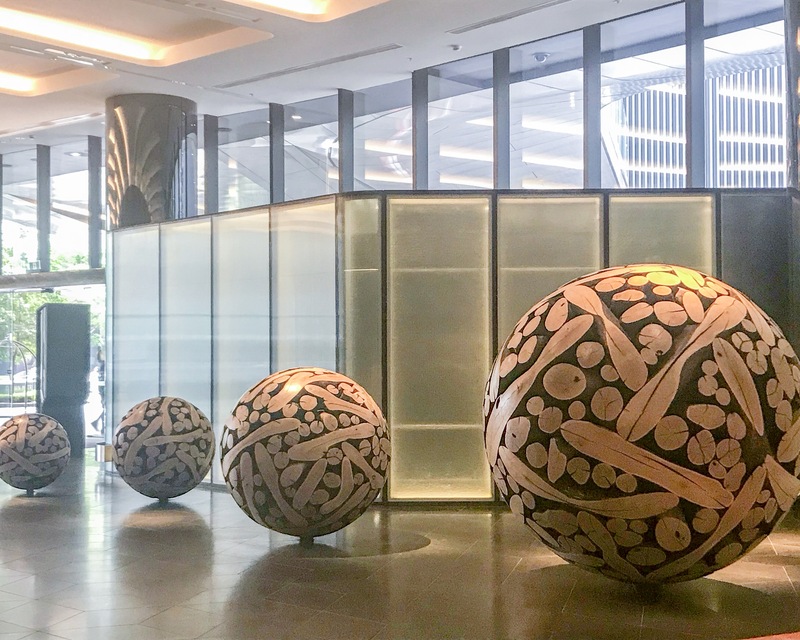 Throughout the rest of the lobby, you’ll find several oversized art installations — and plenty of wannabe Instagrammers using them as photo props. Occasionally, the hotel also invites guests to linger longer with seasonal pop-ups. At Christmas, they had festive spots to take fun photos. 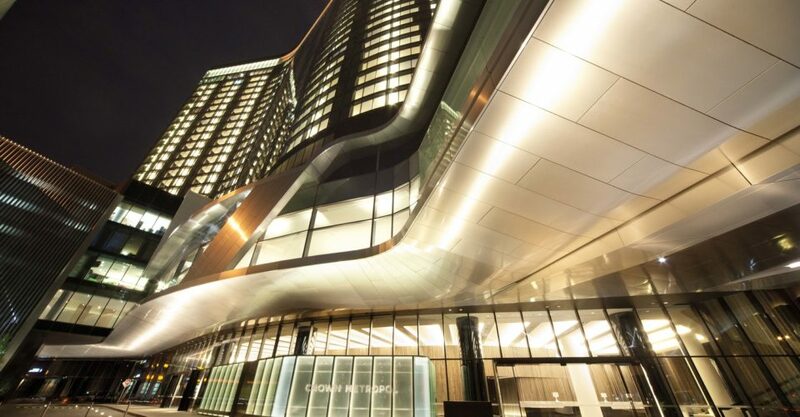 There are 658 rooms at Crown Metropol, but you wouldn’t guess it. Guest floors have been cleverly designed with curving grey hallways that hide plenty of discrete doors that lead to design-forward guest rooms. Inside the rooms, the ethos of stark, artsy simplicity continues. 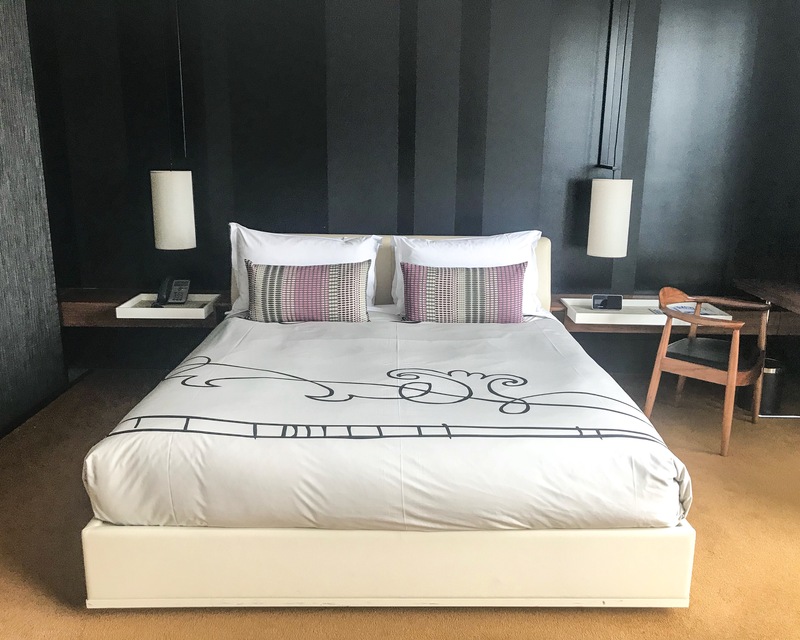 Rather than the plain sheets that adorn beds in most hotels, you’ll find white sheets with black-line graphics sprawled across, topped with patterned pillows fo a pop of color. Room furnishings are best described as Scandi-inspired. Think minimalist, woods, along with simple colors and patterns. Graphic artworks on the wall add extra visual flavor. Bathrooms are similarly stripped-back, featuring lots of grey and white, but are spacious and stocked with all the amenities a modern-day traveler might need. In keeping with Crown Metropol’s marriage of personality and simplicity, there’s just one restaurant on site. But Mr Hive Kitchen & Bar has plenty to tease the senses, both on the plate and in the space. On the menu is are bright, modern dishes featuring an Australian twist — think signatures like crispy Otway pork belly and jumbo prawns. 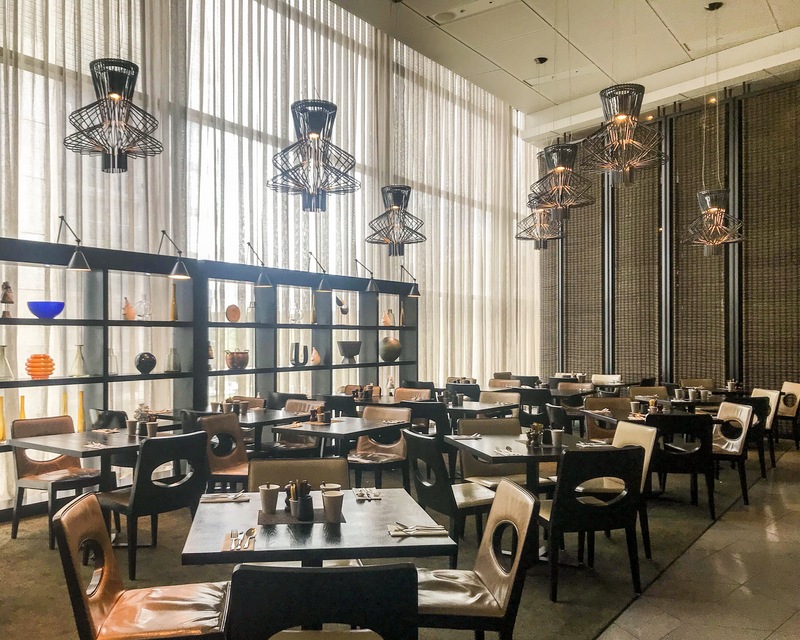 You’ll want your camera (or phone) on hand to snap shots of the well-presented plates and the well-designed areas — take note of the unique lighting fixtures and tchotchke placed in carefully-arranged shelves. Head up to the 28th floor of Crown Metropol and slip into the 28 Skybar Lounge to enjoy well-crafted cocktails, boutique beers and local wines. 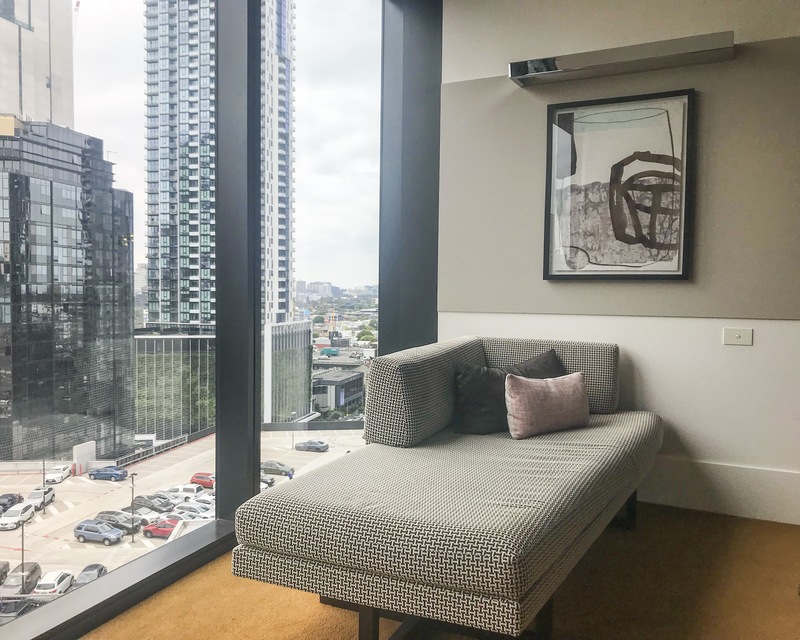 There are plenty of cozy, pretty corners to hole up in — and did we mention the sweeping panoramas of Melbourne you’ll get through the floor-to-ceiling windows? Throughout the hotel, you’ll find quirky art adorning the walls and creative installations lurking around every corner. The pool deck at Crown Metropol. 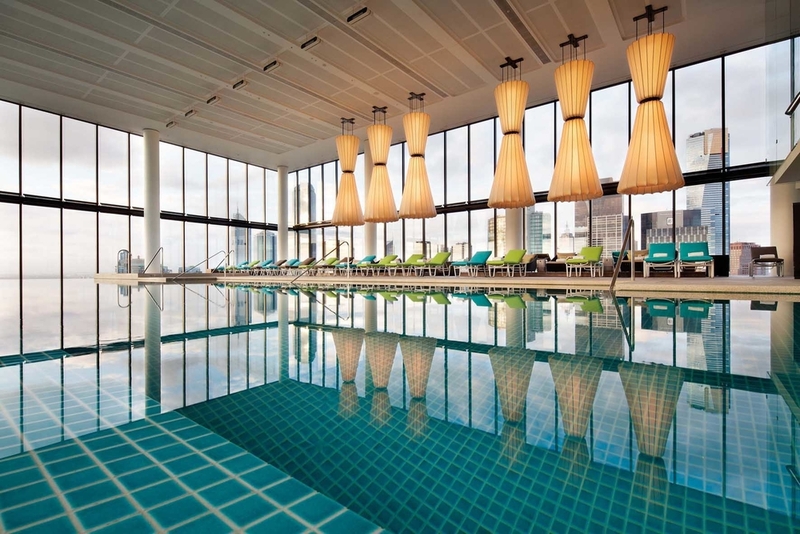 Even the pool deck at the Crown Metropol is as picture-ready as you’d expect from this personality-filled hotel. Bright sunloungers — appropriately dressed in shades of green and blue — sit under dramatic lighting fixtures, and the whole area is backdropped with unique views of Melbourne’s CBD. 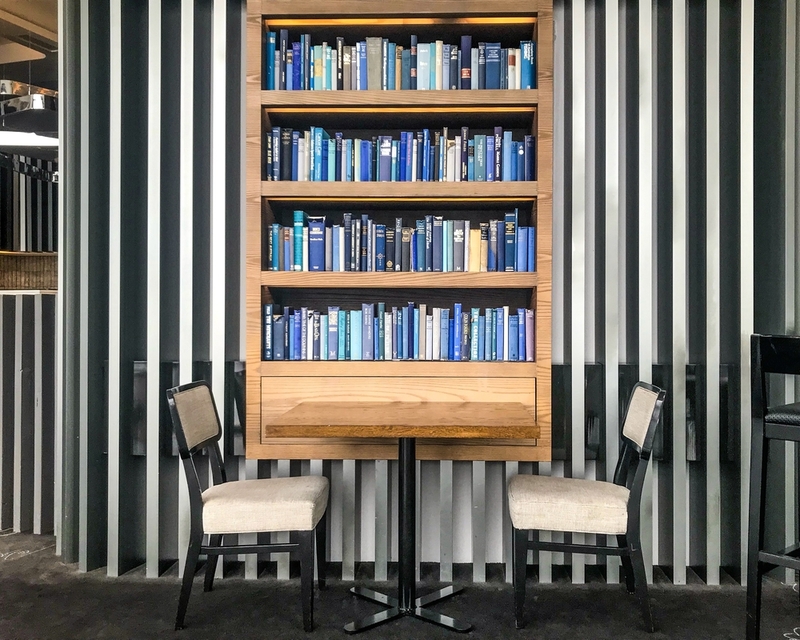 With an eye for aesthetics, a city-centre location, all the mod-cons and lots of character, Crown Metropol might just be Melbourne’s coolest hotel. Note: The author was a guest of Crown Hotels.